Korean dramas inspired this trip! 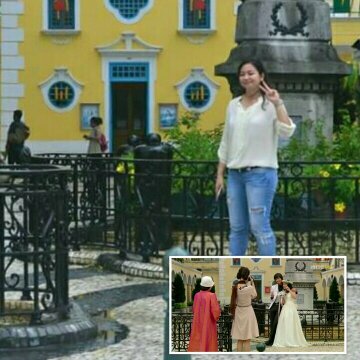 The beginning of Fated to Love You’s plot is set in Venetian Macau while the ending of Goong, my all-time favorite Korean drama, was in St. Francis Xavier Chapel. 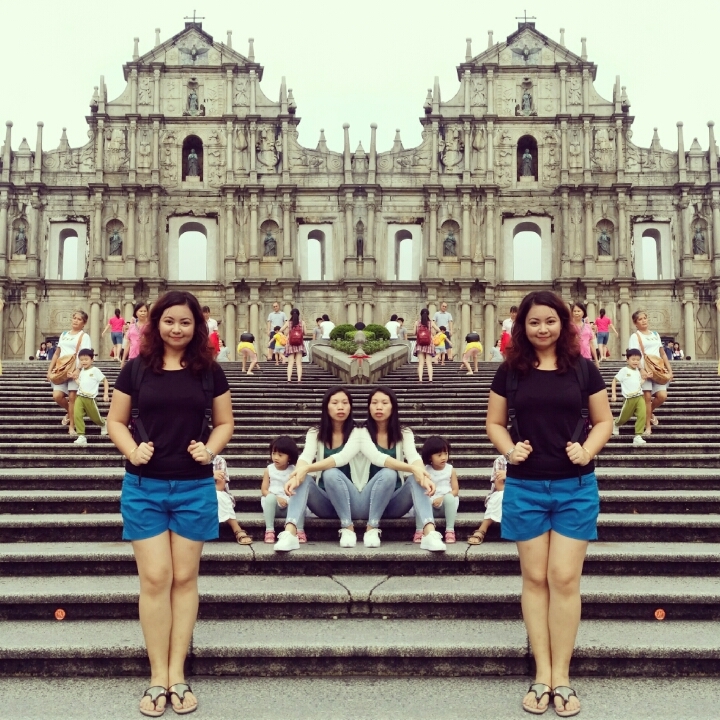 Macau felt more like home for me because 1.) from arrival to departure we encountered lots of Filipinos and 2.) 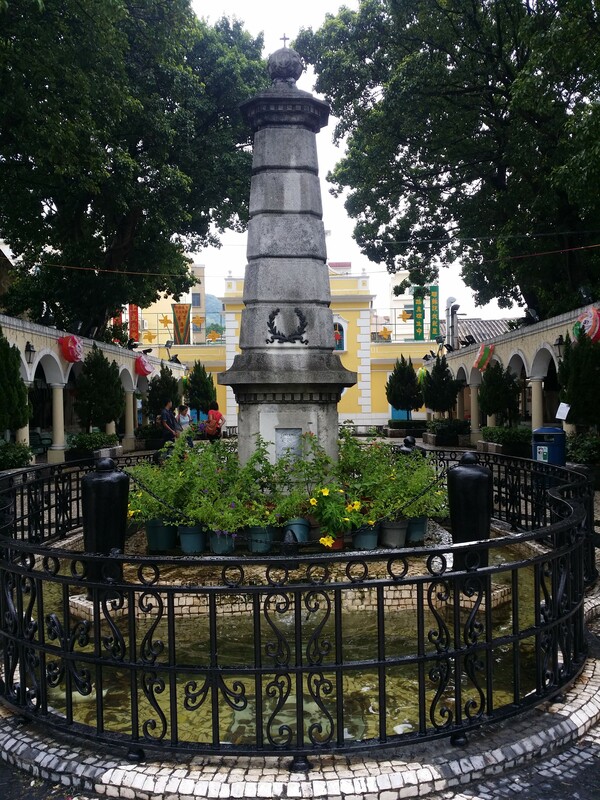 this peninsula had this Portuguese past just as how Philippines had Spanish. MFM is the IATA (International Air Transport Association) code of Macau International Airport. 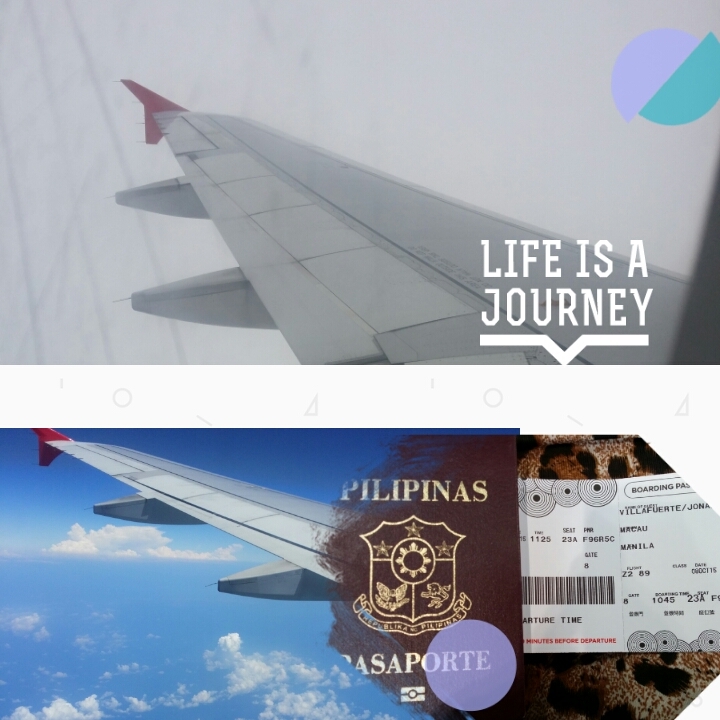 Checking in of baggages is a bit stricter than in NAIA as per my experience. The underwater camera which passed unnoticed in NAIA wasn’t allowed for checked-in in MFM. Even if you’ve passed through checking, we were told by frequent passengers in the terminal that airport staff can still require another checking of hand-carry bags. A fine of MOP50 will be imposed PER ITEM of prohibited items! One thing I noticed in Macau and Hong Kong immigration is that they don’t stamp on the passport pages. They just scan the passport and give you a small slip with what looks like the stamp on it. Always check the net for prevailing currency exchange rates. But during this 2015 trip, exchange rates were PHP100 to MOP15.50 (through First International Resources Money Changer Ltd. inside MFM) and PHP6.27 to MOP1 (through Casa de Cambio Soi Cheong inside Macau Ferry Terminal and Heliport). No need to double convert peso to dollar then to MOP. Caution/Tip: You’ll get the lowest value for you peso in Hong Kong. I even saw an exchange rate of Php7.2 to HKD1 in Tsim Sha Tsui! Best exchange rate I got was from Ate Tere 🙂 If you won’t go to Macau or Hong Kong to meet a friend who is willing to trade HKD to PHP, the best I can recommend is to exchange currency with BPI (one should have existing account with them). They exchanged my peso at Php6.1 to HKD1. HKD can be used in Macau but MOP cannot be used in Hong Kong. 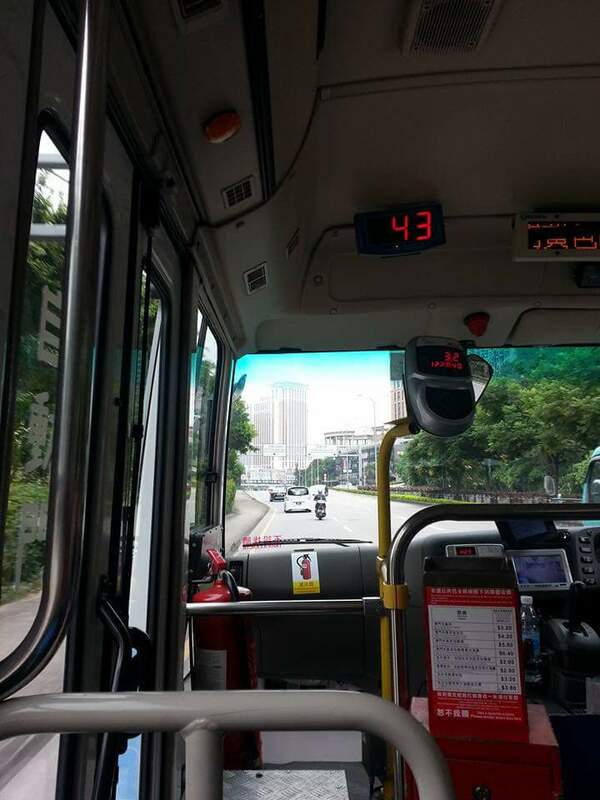 Buses are very efficient in Macau. Free shuttles going to and fro different casinos also abound. 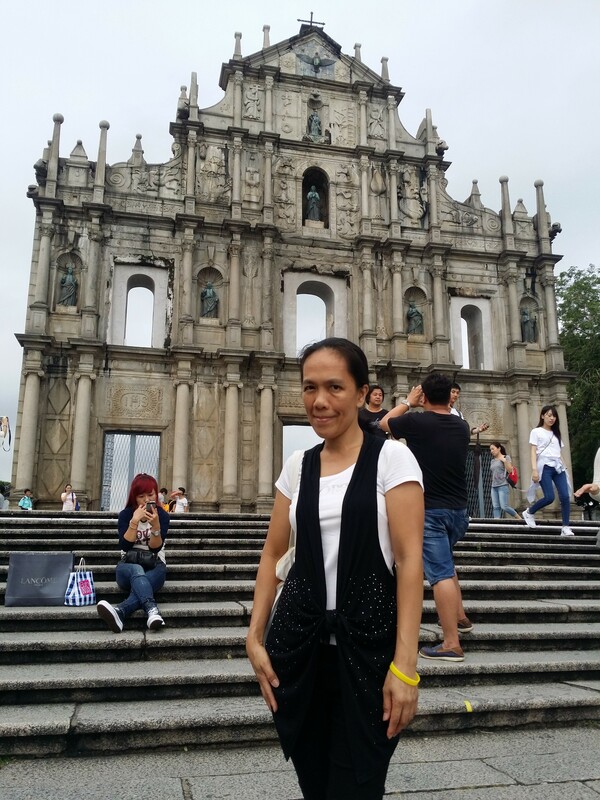 But since we did most of our tour in Macau in the wee hours of night and since we are traveling in four, we deemed taxi to be more convenient. The bus driver won’t talk to you. He’ll just signal you to drop the coins in the amount indicated in the LED screen. They also don’t give change so better be prepared with the exact amount. The maps which can be obtained inside MFM for free offered lots of help. Tourist spots, restaurants, churches, hotels and any location of interest are in the maps together with the bus routes. As they say, as long as you can read and are ready for some adventure, commuting in Macau is a bliss. No traffic, too! 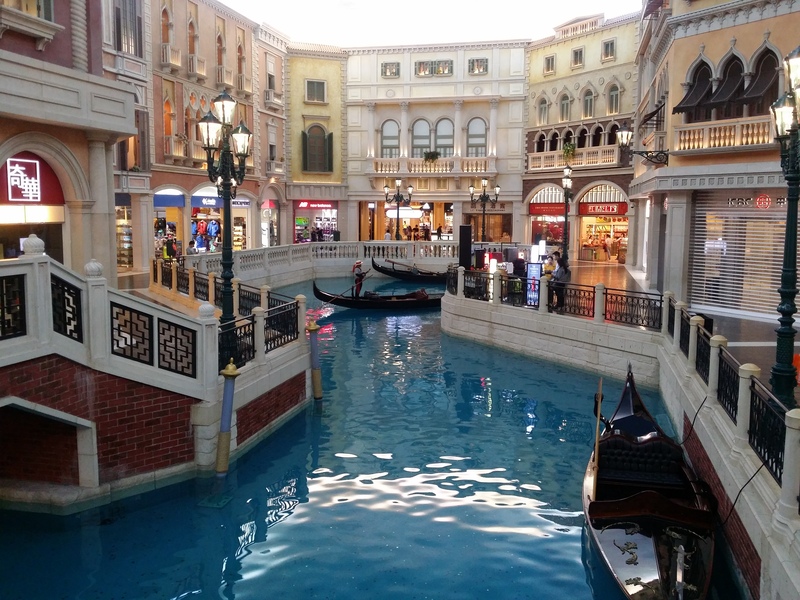 Most of the locations especially in Macau Centre can also be reached by walking. There is a spot of interest every 10m or so. I made it sure I’m in comfortable footwear as Macau also entails a lot of walking. We spent a night (our last night) in Hou Kong Hotel. It’s affordable, modest, with all the essentials to make your stay comfortable. We were provided toiletries and unlike the guesthouse in Honk Kong, a working hot and cold shower. There were comforters too in each of our four small beds. Elevators were working fine. The receptionist cannot speak English but was accommodating. Marlyn had this Hotel Hou Kong reserved online through Booking.com and paid through credit card upon checking in. We stayed here on the last night of this HK-Macau trip. 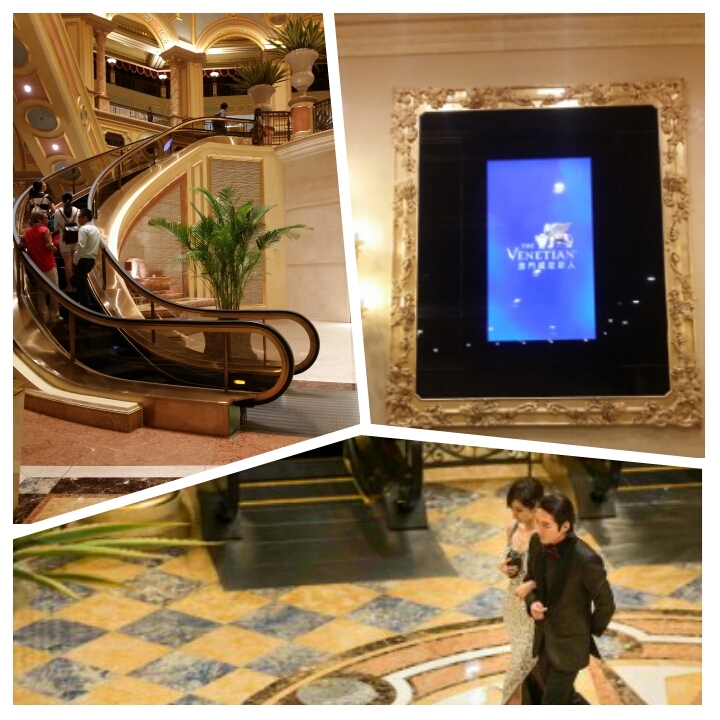 The first time we were in Macau was on the first day when we had a half day trip then sailed on ferry to Hong Kong. Fated to Love You. My inspiration for this trip. Same spots, baby. I love fragrances and this hotel is just sooooooo fragrant! It’s like they sprayed Bvlgari on their ducting system that the place just smells soooooo great. 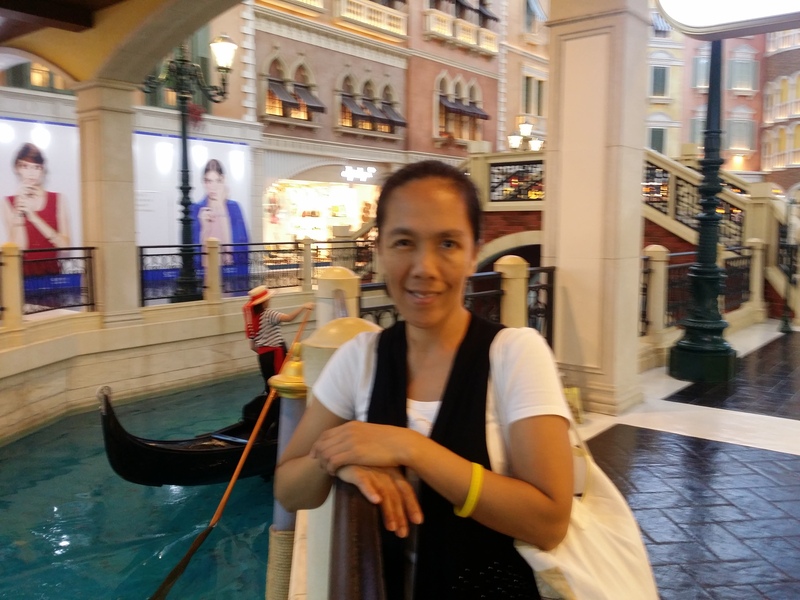 That scent welcomed me upon entrance in Venetian and so it started the nice experience I had strolling around. 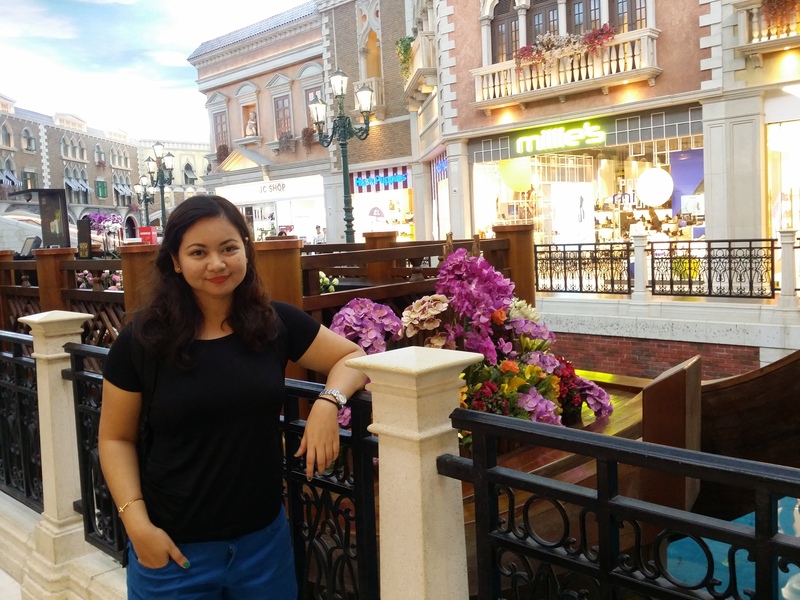 Next time, I’ll be back in Macau with a Venetian reservation. There were lots of Filipinos working here, too so again, it kind of feels like home. 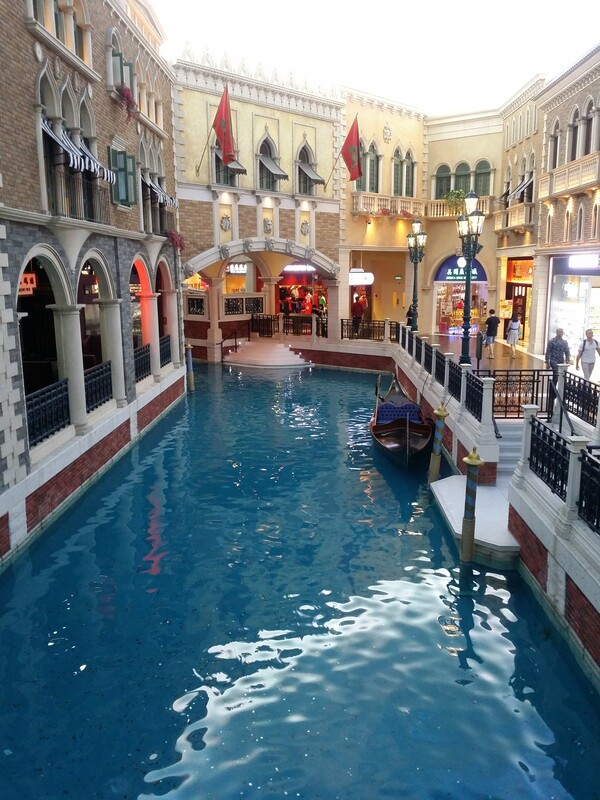 One of the main reasons why tourists flock to Venetian Macau is this replica of the gondola and river. Water is clear you can see the coins tossed by tourists. Make a wish! Are these fresh flowers? I rave for their beauty in abundance! Ate Tere, also on her vacation! We took pictures of each other while mother and daughter were doing their own pictorial. You can, of course, ride the gondolas. For a fee, the gondolas are navigated by singers to complete your romantic Venetian experience. Photos are included in the package. The night we were there, we overheard a Filipino song being sung. We didn’t lay our hands on any casino table because one, we don’t know how to gamble and two, starting bet displayed (more evidently for poker) is staggering 200HKD! It was crowded on Saturday we were first here. Being the primary commercial spot, on Wednesday, it was still crowded. Senado Square is filled with lots of stores and shops and fast food restaurants. One can buy all the “gasgas pasalubong” in the square. Meat jerky litter the side streets. There are also at least two churches in Senado Square. 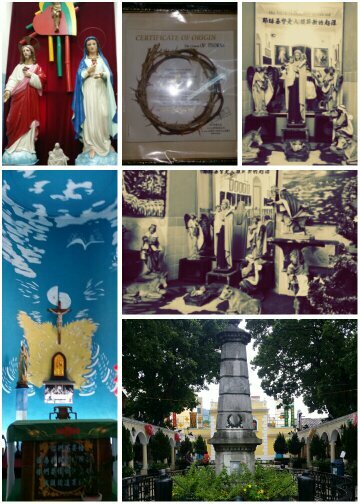 They are not open to public though especially during hours where religious activities like Holy Mass are ongoing. 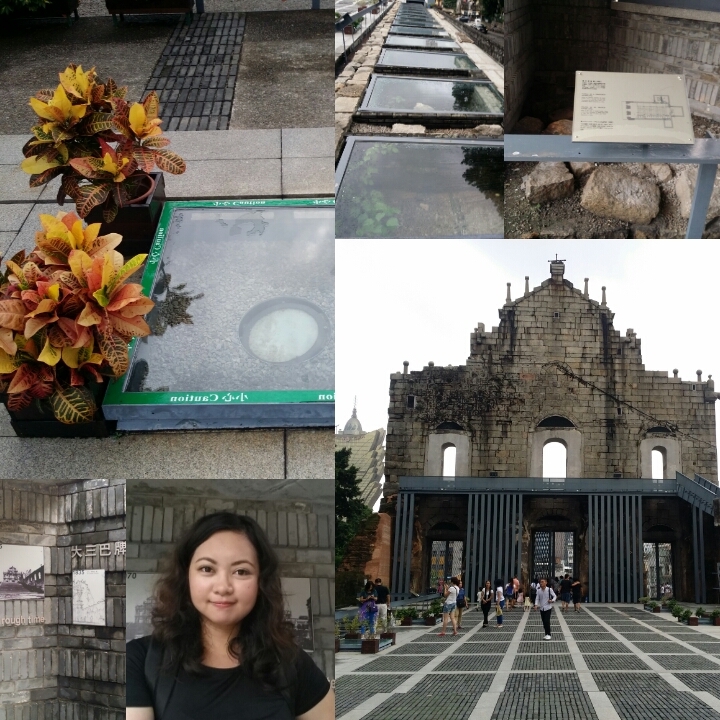 Lola Nidora in St. Paul Ruins! Ate Tere, another one of the Pabeb Girls. Back view of the ruins. It may nearly be impossible to take photo in front of the ruins with no photobomber. 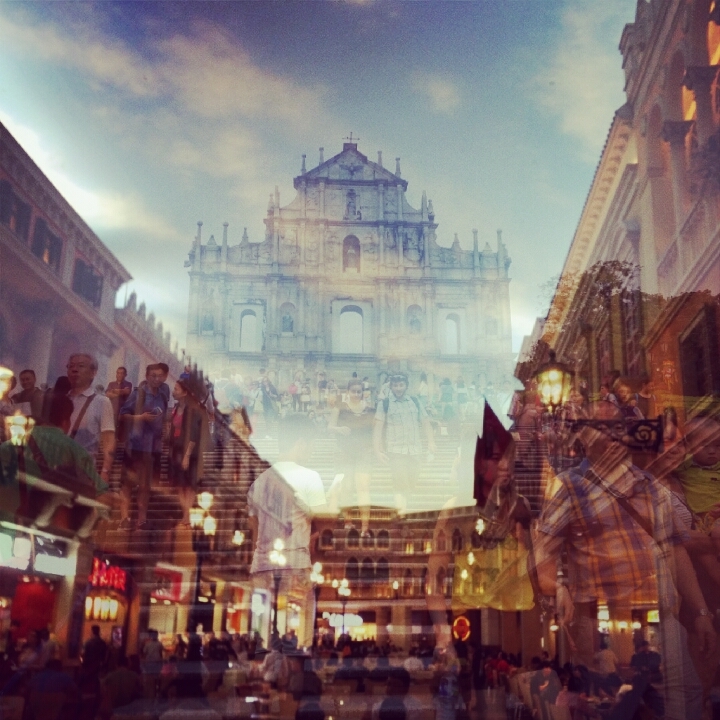 This 17th century structure is the most famous landmark of Macau. 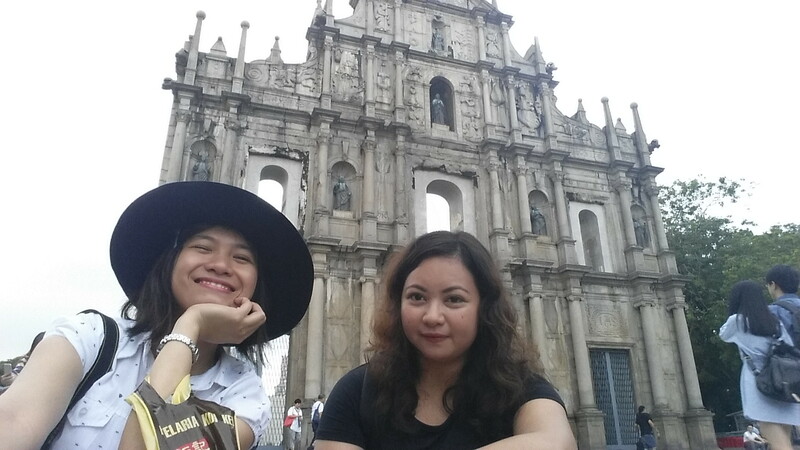 If you don’t go to St. Paul Ruins, you’ve never been to Macau. Looks familiar? This is where Princess Janelle and Prince Gian of Goong got married in the end. Gotta pose like this when in St. Francis Xavier. I really considered it an achievement unlocked when we found the chapel! It was raining then but, who cares? I will not let a Sunday pass without hearing Mass. Funny because it was in Macau where I first felt how to become a minority. Judging on the attendance of the mass, Catholicism isn’t that big in Macau as it is in the Philippines. 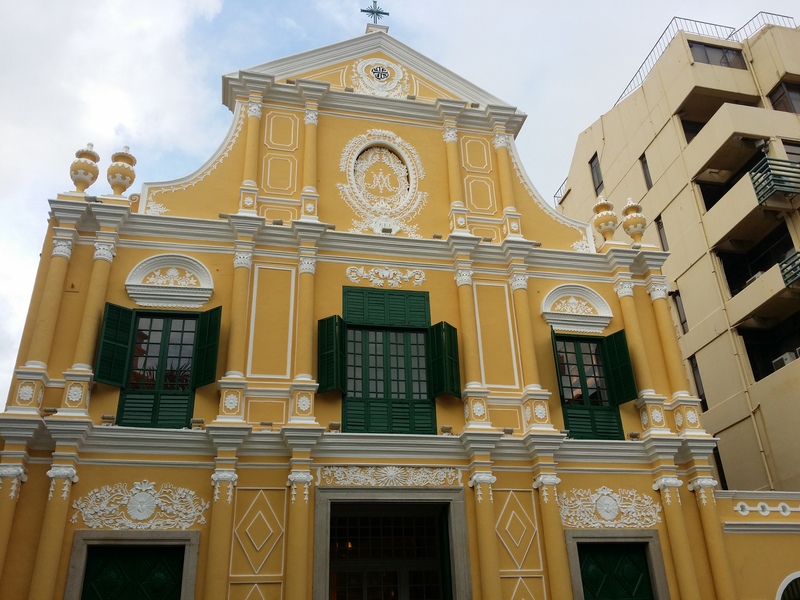 Most of the churchgoers were not native of Macau also. Portugese, perhaps, as they look European to me? An old lady even made sure we are inside to hear Mass. What with all the luggage we carried inside the cathedral. She was actually a bit mean as she confiscated the readings guide to be used in the celebration. We got to be nice to her, though. Anticipated Mass (Saturday) is being held at 6PM. Make use of the “Sambuhay” which can be obtained near the entrance. With this, only the homily will be left not understood. 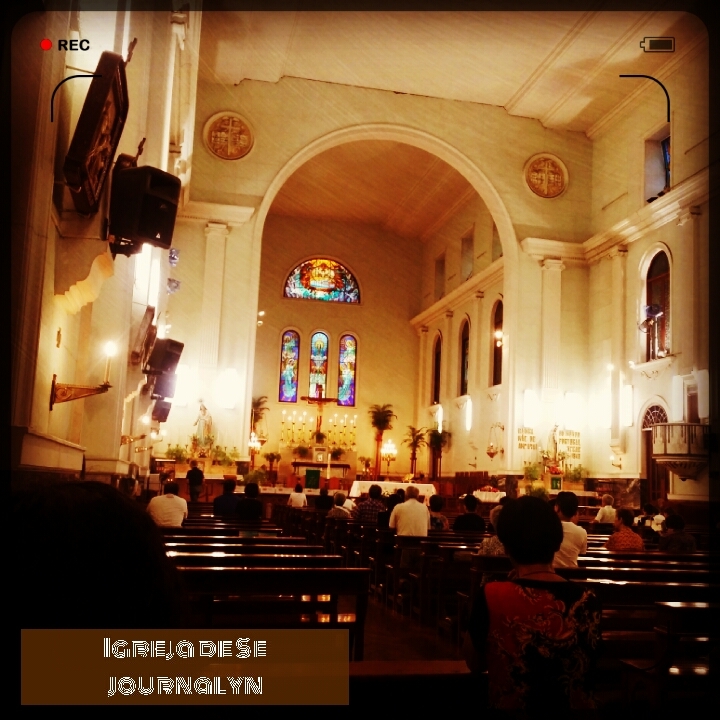 I sneaked a photo inside the Cathedral. It felt like we’ll be thrown out if we are suspected to be tourists. Still in Coloane, on our first day. From Lord Stow’s Cafe, we headed to St. Francis Xavier Chapel but we got a little lost along the way. 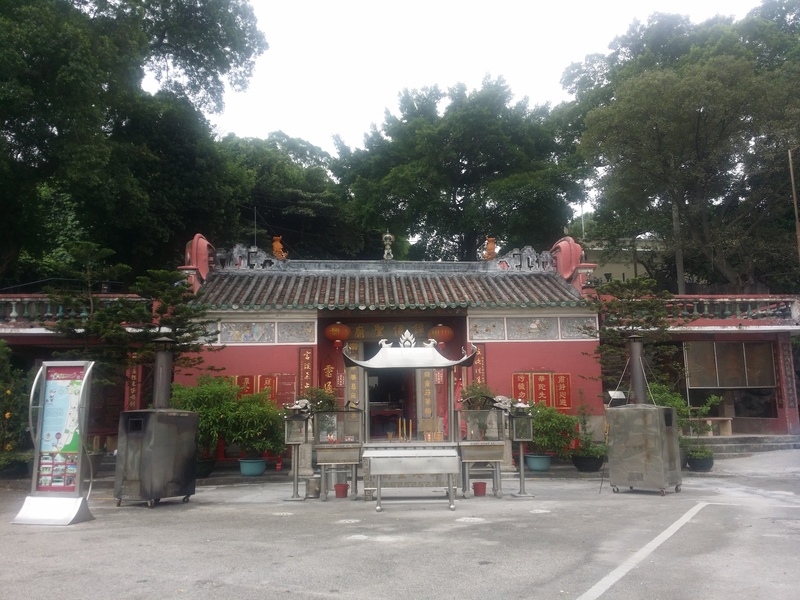 We found Tam Kung Temple first. We spent roughly an hour below a waiting shed overlooking this temple. Rest while figuring out what to do next. As is often said by friends who were here in Macau first, you can consume all of Macau in just one day. That is, if you don’t plan to utilize all that the casinos have to offer. For us, that’s how we spent around 48 hours here. I believe there are lots to be explored though. I’ll surely be back. Around December perhaps when it’s Christmas season so the night lights are in their full glory. 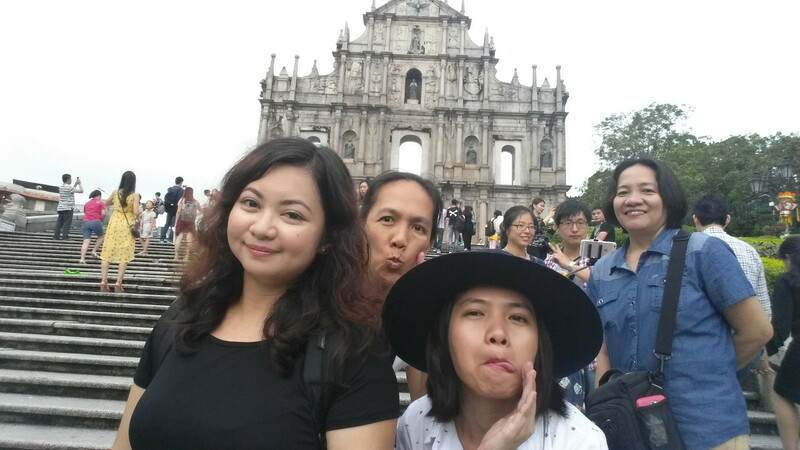 Check out my posts regarding how we survived eating Macau Food trip on my other post.